Microfluidics is a term which appears more and more often in papers and scientific magazines; but, what exactly is microfluidics? 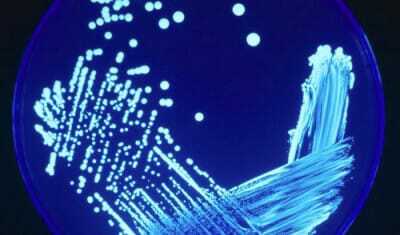 In fact, microfluidics refers both to a science and a technology. Indeed, microfluidics is basically the manipulation of fluids at the micron-scale (one millionth of a meter), which implies a profound knowledge of the physics of fluids at this scale and the engineering of device with very small footprints and microchannels. The roots of microfluidics are to be found in three main different fields: microanalysis, biodefence and – obviously – microelectronics. Microfluidics was first applied in microbiology as a tool for analytical analysis as it allows to operate with very small volumes of samples and reagents, which is quite a compelling feature for microanalysis. Furthermore, the possibility to implement several functions in a small and yet cheap device, dramatically increased the popularity of microfluidics-based application in this branch. Moreover, as with many other scientific fields, research for military purposes stimulated a lot of effort on the development of microfluidics technology as a tool of defense against potential bacteriological threats. In particular, government institutions, such as the DARPA (Defense Advanced Research Projects Agency), commissioned microfluidics systems for fast and in-situ detections. The third contribution, as afore-mentioned, came from microelectronics. Photolithography, in fact, and related manufacturing techniques used in microelectronics, were highly used in the dawning of microfluidics, as much as silicon and glass as raw materials. Soon, however, the latter were displaced by polymers due to their lower cost, higher biocompatibility and physical proprieties. Indeed, silicon – in particular – is expensive compared to plastic, opaque to visible and UV radiation and rigid, which makes the implementation of control units (e.g. pumps and valves) more difficult. Finally, both silicon and glass are not permeable to gas, making them not suitable for studies on living cells. The aim of this short review is to explain why microfluidics is becoming such an important field, starting from the physical principles which are at the basis of the many advantages it offers to researchers, and finishing with the most important applications it has in biology. The basic idea behind microfluidics is to implement operations that used to require an entire lab in a single micro-sized device. This concept is not novel in science, indeed it was the same need that encouraged scientists to pursuit the challenge of microelectronics. As microelectronics is the science and the engineering of electronics components below the micron (10-6 m) scale, microfluidics is essentially a field dedicated to “miniaturized plumbing and fluidic manipulation” (T. M. Squires, 2005). However, there is a big difference between the two: in microfluidics the fundamental physics changes more rapidly with the size scale of the system. As a matter of fact, although modern microelectronic devices have reached the nano-scale, electrons inside them behave in the same manner as the macroscopic world. On the other hand, fluids inside microchannels of microfluidic devices gain new features at this scale. 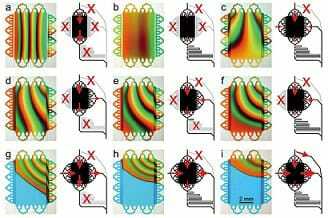 One of the most important example is laminar flow, i.e. a regime in which viscosity-related effects are more important than inertial ones. Basically, this means that if you swim in a pool and suddenly stop moving your motion will last for a little while after whereas, if your pool was at the micron-scale, you would stop immediately. Laminar flow has several implications on how fluids are handle in microfluidic devices. Indeed, for instance, in this regime fluids mix only via diffusion which is a rather slow mechanism and makes reactions within microfluidic devices harder to achieve. The physics of fluids at this scale can be really complicated, as several phenomena takes place simultaneously, therefore it’s common to use some dimensionless parameter to express which one of these is dominating. By far, the most cited of these parameter is the Reynolds number, Re. This parameter is given by the ratio of inertial forces over viscous ones. Therefore, low Reynolds numbers (< 2000) qualifies regimes of laminar flow while high Reynold numbers ( > 3000) indicates turbulent flow. There are several other dimensionless parameters, such as the Péclet number which gives the ratio between convection and diffusion, for a detail review of them refer to T. M. Squires 2007. As mentioned before, in microfluidics, the effects of the inertial forces are negligible compared to the ones due to viscous forces; thereby, the non-linear term in the previous equation can be neglected. It is important to note however, that even with this approximation, Navier-Stokes equations can be solved analytically only in few particular case. Over the years several materials, such as glass, silicon and polymers, have been employed to manufacture microfluidic devices. Obviously, there is no such thing as a “perfect” material as everyone of them has some advantages and drawbacks when employed in microfluidics. Ultimately, it is the application which guides the researcher in the selection. In this chapter the most common material used in microfluidics will be briefly reviewed. Permeability: PDMS is gas permeable which can be used in cell culture, gas sensors, etc..
Obviously, there are also shortcomings in using PDMS for microfluidic chip fabrication. Some examples are: the aging of the material which limits the performance of the chip during the years and the poor chemical compatibility with many organic solvents which makes PDMS suitable mainly for aqueous applications. Furthermore, PDMS absorbs hydrophobic molecules and water vapor that can be then accidentally emitted during the experiment. Another drawback of PDMS microfluidic devices is the impossibility to implement electrodes within the chip, even if this can be worked around by putting the electrodes in the glass cover slide instead of the chip itself. More can be found on PDMS and its application to microfluidics in the Elvesys site. As mentioned above, while PDMS allows fast and easy microfluidic chip fabrication, it has various shortcomings that prevent its use in some applications. In order to come over these drawbacks, but still benefit of inexpensive and fast production, other polymers can be used to build microfluidic devices. One example of another polymer used for microfluidic chip is Polystyrene (PS) which is a polymer of standard use in drug research for cell-culture dishes. 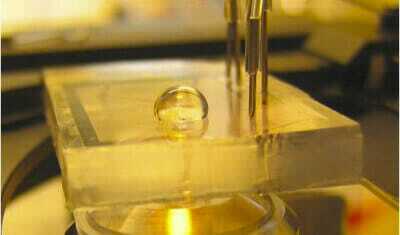 PS is optically transparent, biocompatible, inert, rigid, and its surface can be readily functionalized. Furthermore, its hydrophobic surface can be easily made hydrophylic by various physical and chemical means, including: corona-discharge, gas plasma and irradiation. Others often used polymers for microfluidic devices are Polymethylmethacrylate (PMMA) and Polycarbonate (PC). PC presents a better thermal resistance than PMMA and thus it can be used in a wider range of temperature. PMMA is an elastomer with little deformation in comparison with PDMS and hence is employed when rigidity is required, e.g. for construction of canalization of microvalves. The name Thermosets indicates those polymers which are joined together by chemical bonds. This procedure gives them a highly cross-linked polymeric structures which is responsible for the high mechanical and physical strength of these materials and yet poor elasticity compared to thermoplastic and elastomeres. The main proprieties of thermoset are: no melting, no swelling with certain solvents, insolubility and high resistance to creep. One of the most used thermoset for microfluidic applications is thermoset polyester (TPE). 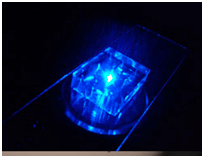 The procedure used in TPE microfluidic chip fabrication is rather similar to the one employed for PDMS, except for the fact that TPE is semi-cured first using UV light, removed from the master mold and then allowed to completely cure against a second semi-cured TPE piece in order to obtain final bonded channels. Advantages in using thermosets lie on low costs, easy and fast chip crafting and its high transparency in the visible range. Furthermore, thermosets are often compatible with non-polar solvents which instead cause the swelling of PDMS-based microfluidic chips. On the other hand, there are some shortcomings in using thermoset microfluidic devices compared to PDMS chip as thermosets are not elastomeric and when cured they become hard materials and as such, they require fluidic interconnectors different than those used for PDMS. Finally, thermosets are not gas permeable, so this does not make them a good material for long-term cell-based application such as cell culture. One of the first materials used in microfluidics was silicon. The reason of this relies on the deep link between the first microfluidics chips and the microelectronic industry, where silicon was and still is one of the most used materials. Advantages of silicon in microfluidic applications lie in its thermal conductivity, surface stability and solvent compatibility. The main drawback of silicon microfluidic chips is its optical opacity in the visible electromagnetic range that makes optical detection impossible. 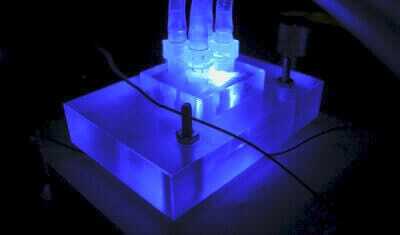 Another pioneer material in microfluidic chip fabrication has been glass. This material has the same above-mentioned advantages of silicon. In particular, its well known surface chemistries, superior optical transparency and excellent high-pressure resistance make it the best choice for many applications. Glass is also biocompatible, chemically inert, hydrophilic and allows efficient coatings. 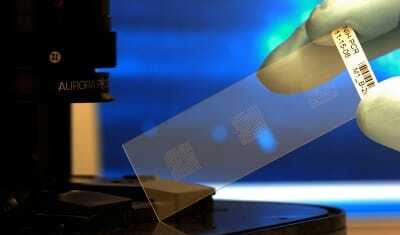 The main shortcoming of glass microfluidic chips it’s the rather high cost of the raw material. 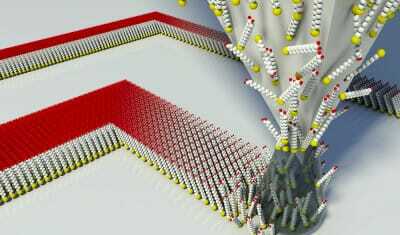 Lately, also paper has been taken into account as a potential material for microfluidic chip fabrication. The main reason for that is because paper is a very cheap raw material. However, the advantages of using paper for microfluidic devices applications go beyond just the extreme low costs. Indeed paper is thin, lightweight and easy to store, manipulate and transport. Furthermore, it is compatible with biological samples and can be chemically treated in order to bond with molecules or protein. Last but not the least, paper is easy to dispose of after use which makes it a very environment-friendly material for microfluidic chips. 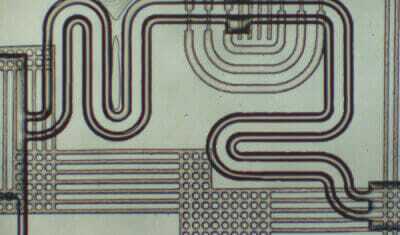 The main shortcomings when using paper based microfluidic devices is the difficulty in pattering the channels on the chip. Indeed, there is just not the “perfect” patterning method as each one implies trade-offs between cost, convenience and resolution that have to be evaluated case by case. The Hydrogel is a colloid made up by polymeric chains of molecules spread in water. One common polymer used to make hydrogel is sodium polyacrylate. Their application for microfluidic devices depends on their suitability for biological experiments: indeed, they are good as diffusion matrix because most cell nutrients and growth factors are diffusible in hydrogel. In fact, the diffusitivity of most solutes in agarose gels, a common hydrogel used for microfluidic chips, is known to be very close to that in water. Hydrogel is very malleable, and various feature designs and sizes can be molded onto it. Furthermore hydrogel is commercially available, non-toxic to the cells and cost effective. In this chapter a few relevant microfluidic applications will be outlined. This review will be focusing in particular in biomedical applications of microfluidics. Over the years, microfluidics has been employed more and more often in life sciences applications. Indeed, exploiting microfluidics devices, researchers have been able to both enhance and facilitate their investigations in several fields. In this chapter, some relevant examples of applications in which microfluidics gave or may give a significant boost of performance will be presented. 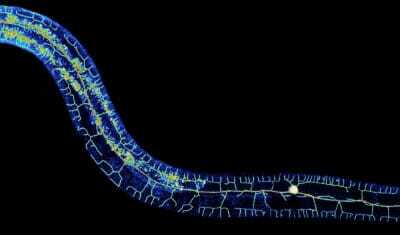 In this regard, one of the best examples is the application of microfluidic devices for C.elegans live imaging. The C.elegans is a nematode which plays a major role in biology because, although it is quite a simple organism, it features a nervous system. Thanks to this peculiarity and its unique transparency, C. elegans became a choice of election for live cell imaging. However, there is a big issue to overcome in order to be able to achieve high resolution images: immobilization of the worm. Indeed, contingent movements can give rise to artifacts or out of focus images which can heavily affect the outcome of the observation. The conventional immobilization methods comprehend the use of glue or drugs, which means they are either irreversible or potentially hurtful for the animal. Furthermore, with these methods researchers spend a long time to prepare the sample and can only deal with small amounts. Microfluidics can address these issues as it enables to reversibly trap large numbers of worms, and manipulate them in the same platform, i.e. 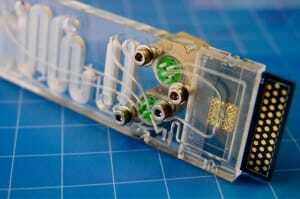 the microfluidic device. Over the recent years, several microfluidic applications to achieve C.elegans immobilization have been developed. The most notable ones employed different “immobilizing agents”, such as cooling (Chung et al., 2008), compression or restriction (Chokshi et al., 2009; Hule et al., 2007), CO2 (Chokshi et al., 2009), and gelation (Krajniak and Lu, 2010). In order to have some insight on these techniques, we strongly recommend to read our related short review (“C. 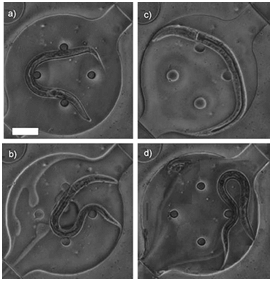 elegans immobilization via microfluidics: a short review”). One of the main microfluidic applications is the so-called Laboratory-on-a-chip, that has the aim to integrate all the functionalities of an entire laboratory within a single microfluidic chip. 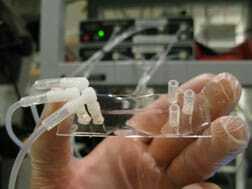 For instance, in cell biology, researchers are able to culture their cells within a microfluidic device with the possibility to inject drugs and see live the response of the sample at a cellular basis. In this regard, the possibility to have complete control over the surrounding environment has been deeply explored. By far, the most addressed parameter is pH and consequently lots of microfluidic applications have been devoted to this goal. The most common technique is to implement a solid state sensor, such as an electrolyte-insulator-semiconductor (EIS) or a ion-selective-field-effect-transistor (ISFET), in the microfluidic device to perform real-time and high precision measurement of the pH level (e.g. Lin et al., 2013). Furthermore, it is also possible to implement a system to valve and reservoirs to regulate pH level accordingly to the environmental changes that take place in the culture chamber (e.g. ; Welch and Christen, 2014). To read more on pH control via microfluidic devices, please refer to our short overview (“pH monitoring in microfluidics: a short review”). One of the main challenges in drugs development nowadays is the reduction of the so-called “drug path”, i.e. the distance from the place of administration to the area of interest. Indeed, major steps forward have been made during the past years in drug discovery, with new and more effective compounds discovered every year, but the methods by which we assume these medicine did not develop as far. Microfluidics can help the industry of drugs both in development and administering. Indeed, new designs of lab-on-chip are providing researchers with new platforms for drug synthesis and delivery. Furthermore, microfluidics also allows to have devices for drug administering which are cheap, user friendly, less painful and side-effects free. For a more extensive treatment of this topic, please refer to our short review on the subject (“Microfluidics as a tool for drug delivery”). 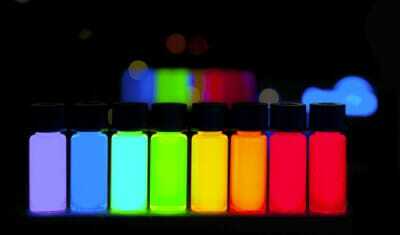 Chemical gradients play a key role in many biological processes and regulate a number of cellular functions in vivo. Therefore, it is evident that studying and possibly recreating these condition in vitro is crucial in life sciences related studies. In this regard, microfluidics can provide the tools to recreate and even control over space and time these gradients. The most common way to develop gradients in microfluidics is to exploit the diffusive mixing between adjacent flow steams. This is possible because, as demonstrated before, microfluidics flow is laminar due to the micro-sized dimension of the channels, and therefore diffusion is the only possible mixing mechanism. Although simple, gradients generation via diffusive mixing does come with some drawbacks. Among them, one of the most concerning is the potential convective flow that arises consequently to the mixing. 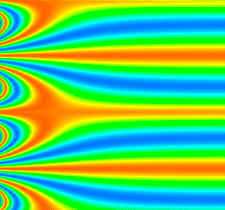 Several approaches have been used by researchers in order to overcome this problem, such as ad hoc microchannels called “convection units” (Atencia et al., 2008) where convective flows are decoupled from diffusion. 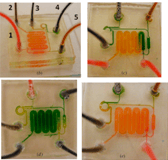 For a more extensive treatment of the subject, we recommend to read our short review about microfluidic gradients generator for cell biology (“Gradients generation for cell biology in microfluidics”). One of the fields microfluidics can really improve is the so-called Point-Of-Care (POC). This name defines those medical analysis which are carried out in the proximity of the site of the patient care, indeed POC is also known as ‘bed-side testing’. 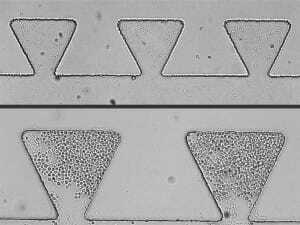 Microfluidics devices, and in particular polymer- or paper-based ones, have features, such as disposability and cheapness, which come as prerequisites in this field. In fact, microfluidics applications in POC are already used for pregnancy testing, HIV diagnosis, glucose biosensors and screening of drug abuse, even if a broad spread of this kind of devices is still lacking. However, the use of microfluidics allows to gain several advantages such rapidity, throughput and minimal sample consumption which are crucial in POC applications. Furthermore, microfluidic-based POC devices are easy to handle and manufacture, thereby their application is particularly promising in developing country, where there is a great need for effective yet inexpensive medical tools. Another field in which microfluidics is meeting an enthusiastic response is cell analysis. Indeed, the possibility to have in the same miniaturized device different modules for cell culture, sorting and lysis is really appealing and therefore a lot of researchers are pushing towards this direction. 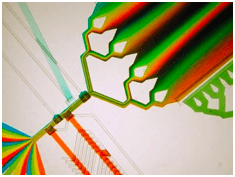 In particular, microfluidic-based devices are widely employed in cell citometry, where accurate and precise flow control is required. Furthermore, the application of microfluidic devices enables to improve sensibility as the dimension of the whole measuring system greatly decreases, being comparable to the single cell size. Moving over, microfluidics applications can be found in cellular biosensors, i.e. 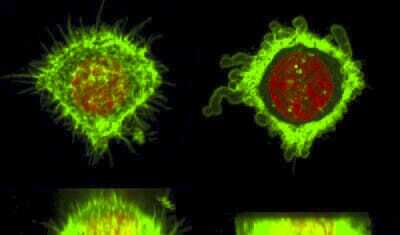 sensors which exploit the cell physiological responses under different stimuli, e.g. toxins feedbacks. Finally, microfluidic systems allow to recreate in vitro cell-cell, cell-substrate and cell-medium interactions with high accuracy. Furthermore, while cultured within the microfluidic device, cells and their microenvironment can be precisely monitored under several parameters. The aim of this short review was to give the reader a glance on the exiting world of microfluidics, providing some basic theoretical principles and applications in order to show the potential of this science and technology. 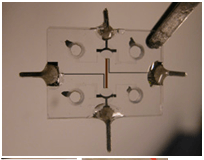 Microfluidics, indeed, can offer great, if not revolutionary, new features for the future. Although many microfluidics-based applications and devices can already be found in many areas, spanning from research to industry, this field is still in its “infancy” and a lot of effort has to be put in order to spread more microfluidics applications outside the academic world. In conclusion, what future can we expect for microfluidics and its applications? This, of course, is not an easy questions to answer, although many fields – basically every one where fluid manipulation is required – in which microfluidics may be employed can be imagined. Surely, microfluidics could be the key to make biomedical essays less expensive and easier, especially for users who do not have an engineering background. Indeed, some of the most promising microfluidics applications are those where there is a large demand but low prices, such as public health and environmental monitoring in developing countries. In this regard, the LAPASO consortium, of which ELVESYS S.A.S. is a full partner, aims to develop microfluidic devices capable of efficient and inexpensive diagnosis in order to fight diseases such as malaria in Africa and other developing countries. In conclusion, there are many fields where microfluidics and its application can severely improve performance and impact the cost, we are just scratching the tip of the iceberg of this marvelous science and technology. To read more on LAPASO and ELVESYS S.A.S. related products please click here. Microfluidics is a field having a rapid growth, indeed since its dawn microfluidics applications became more and more relevant in life sciences. The reason for this success is due to the unique chemical and physical features that occur in fluids at the micron size, which allow to have several advantages over conventional “macro”-techniques. 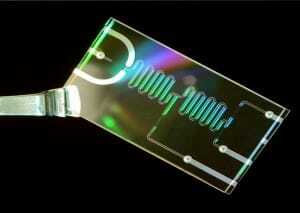 Furthermore, microfluidics devices are in general easy to use and to manufacture and yet, cost effective. Also, within a single microfluidic chip, it is possible to implement many functions and component for flow control, such as pumps and valves. In this short review, some relevant microfluidics applications have been outlined in order to give an idea on how this new science can both help and boost research in fields like biology and medicine. Nevertheless, there is a lot of room for improvements in order to spread more microfluidics applications beyond research purely. Nge, P. N., Rogers, C. I., & Woolley, A. T. (2013). Advances in Micro fl uidic Materials , Functions , Integration , and Applications. Ns, D., & Nordborg, D. K. (1993). review, 168. Squires, T. M. (2005). 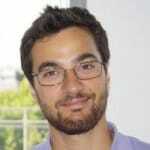 Microfluidics : Fluid physics at the nanoliter scale, 77(July). As well as article cited in them.